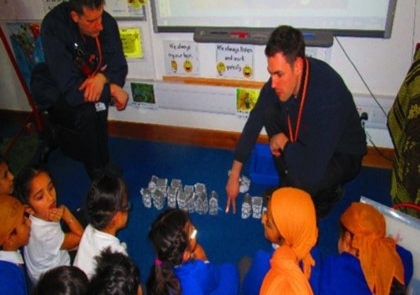 Year 2 – Year 2 are doing the Great Fire of London and so they had a visit from the local fire station. 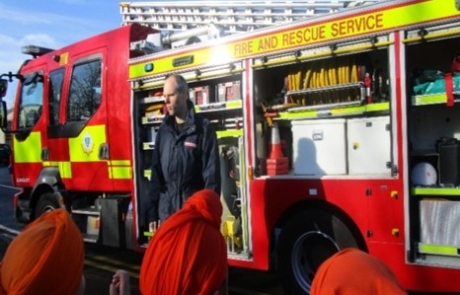 The fire-fighters showed us their engine including all the heavy equipment used to not only put fires out, but to rescue people and animals. 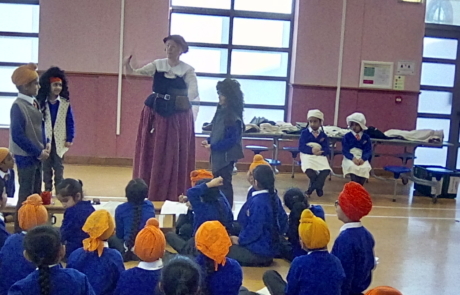 They compared modern fire-fighting to that of the 17th Century which the children pointed out to be very old. 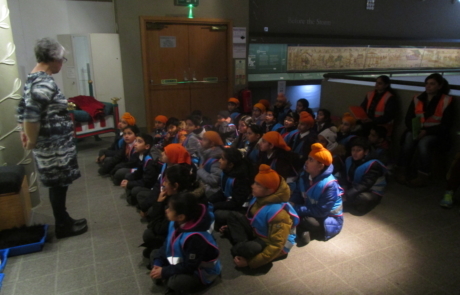 The children had many questions including, “When you are not putting out fires or other emergencies, then what do you do”? 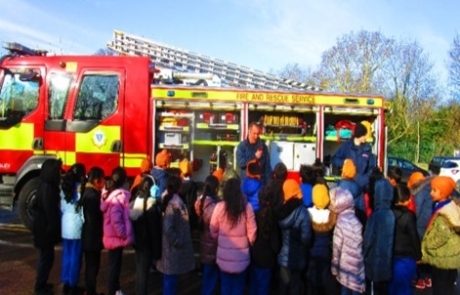 The fire-fighter answered by saying how they spend time at the gym, updating their own training as well as visit schools and do talks with the communities. 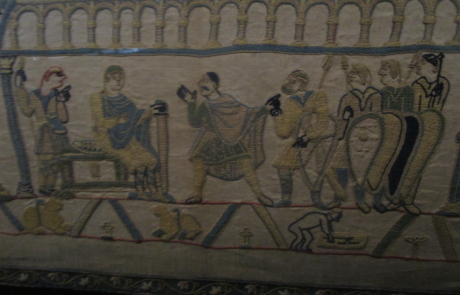 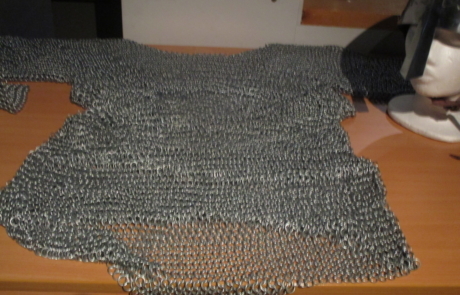 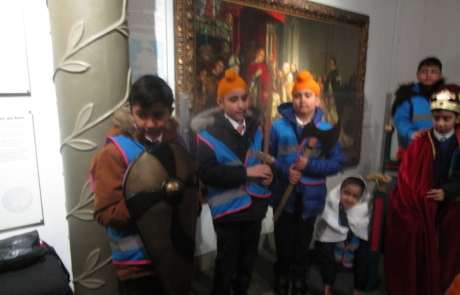 They have been studying a poem about the invasion of the Normans and have been practising their storytelling techniques to retell the story of the Normans. 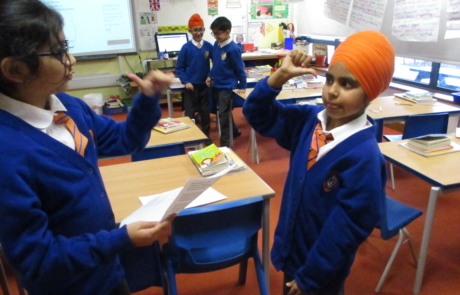 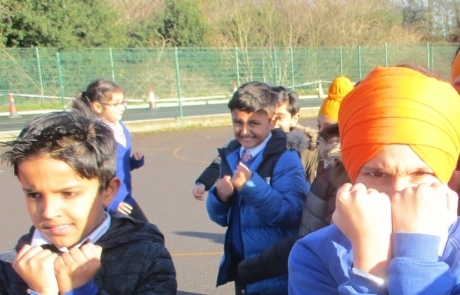 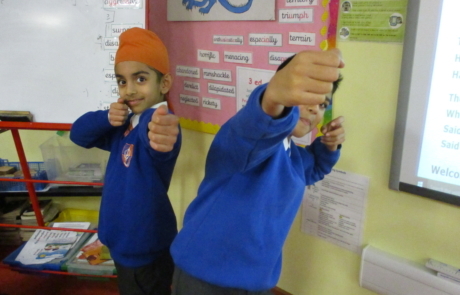 Year 4 used facial expression (body language), actions and expression in their voices to retell the poem about the Norman invasion. 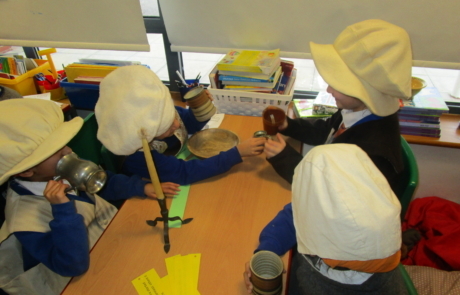 The children had a battle re-enactment to support their writing in English. 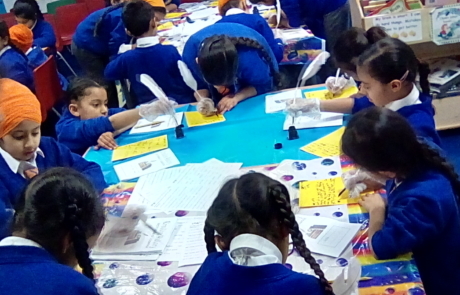 They have been describing the Battle of Hastings. 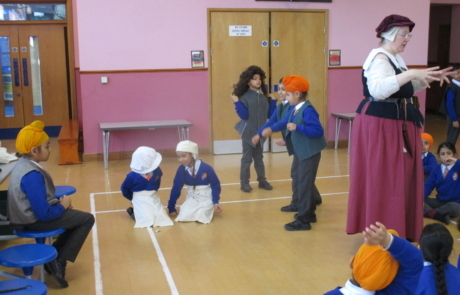 Children had to think carefully about facial expression and body language to express themselves during this re-enactment. 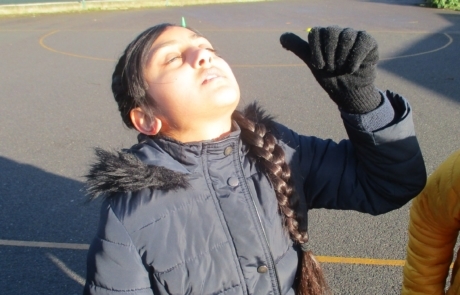 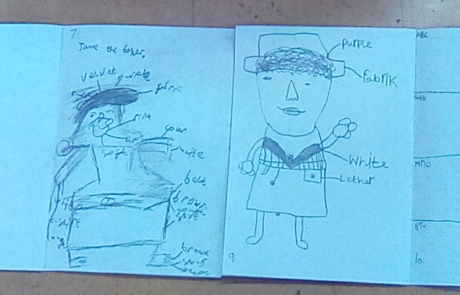 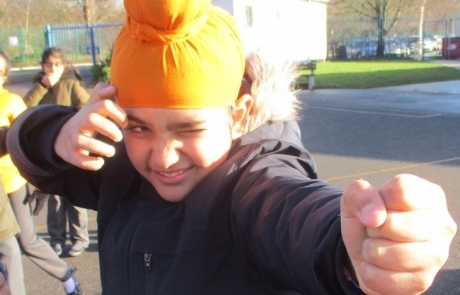 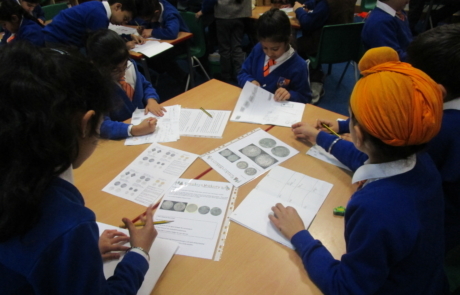 Afterwards, Year 4 used the photos to support us in our creative writing sessions. 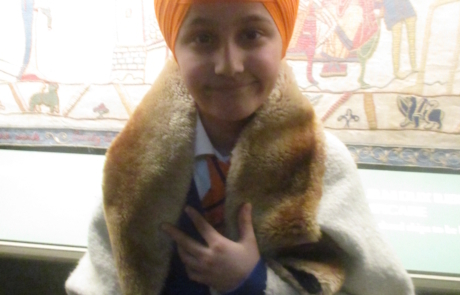 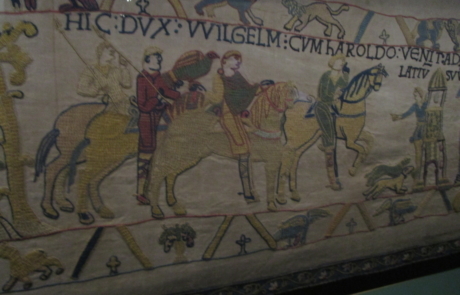 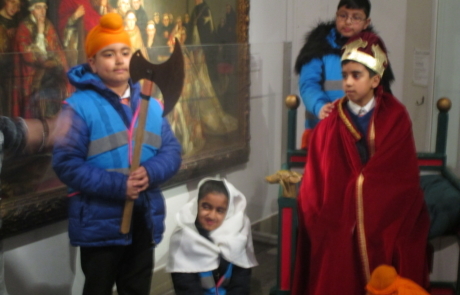 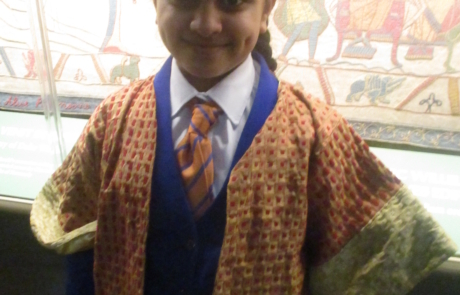 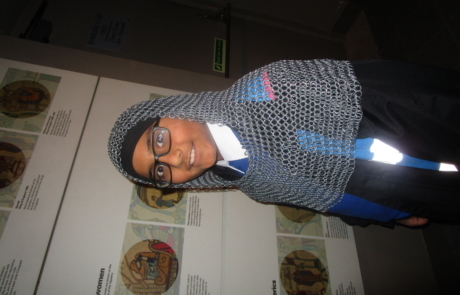 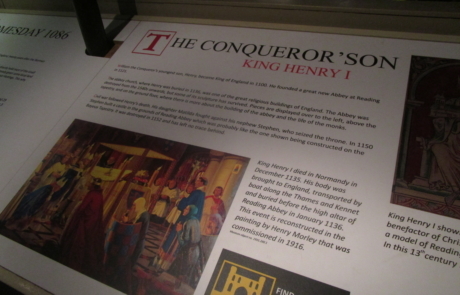 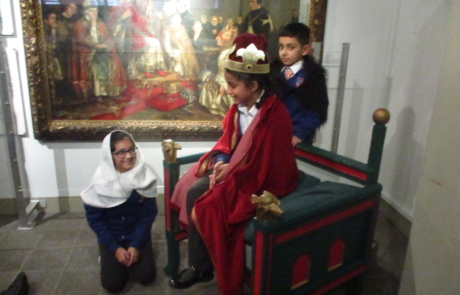 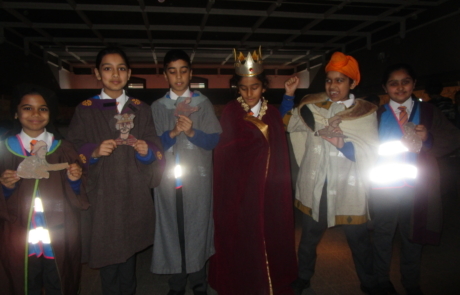 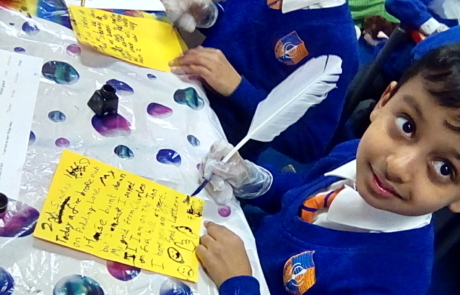 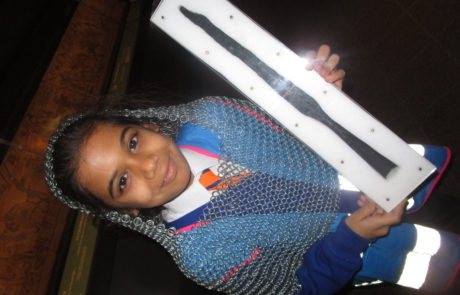 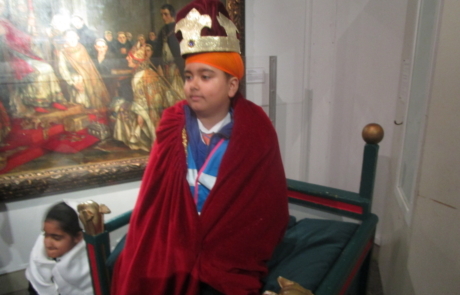 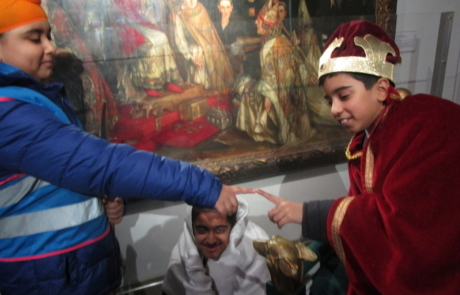 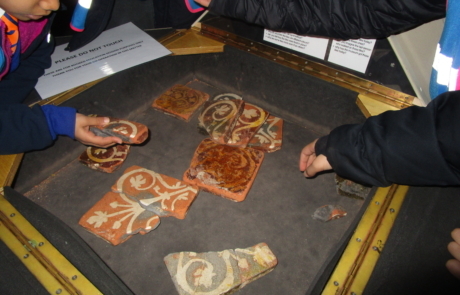 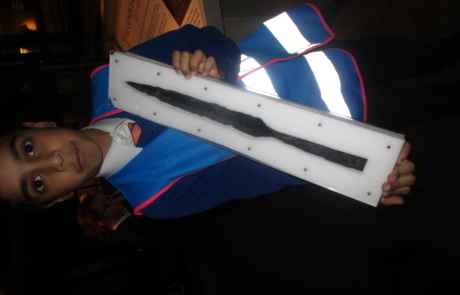 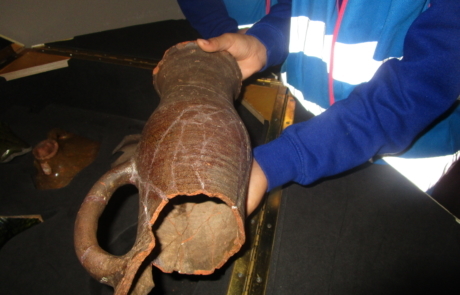 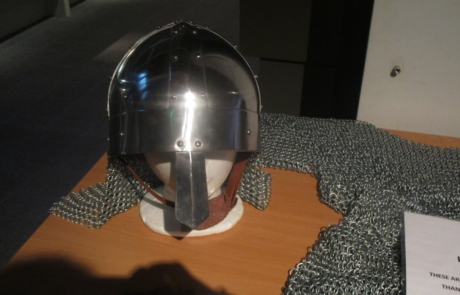 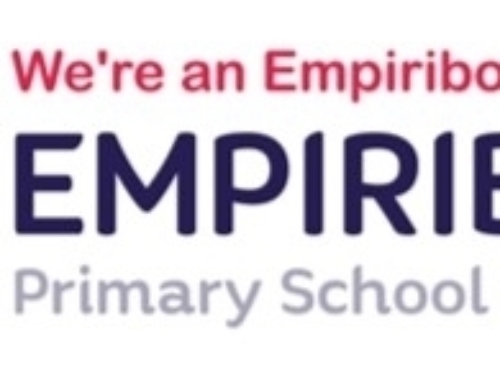 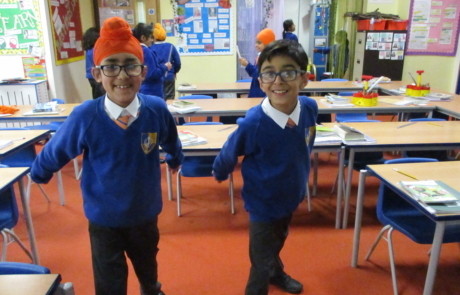 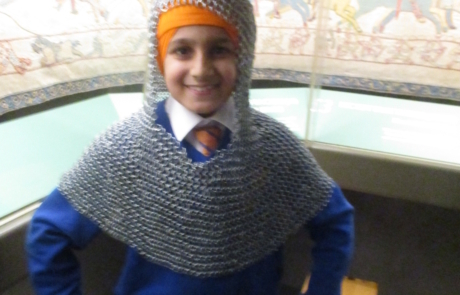 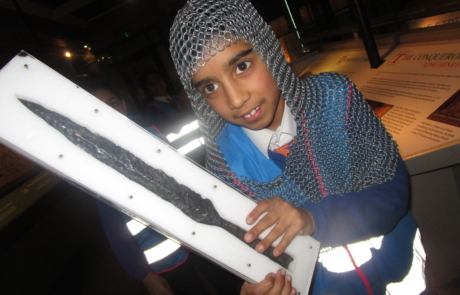 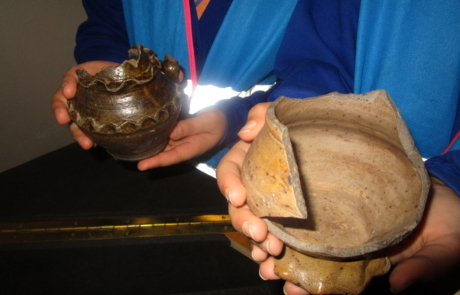 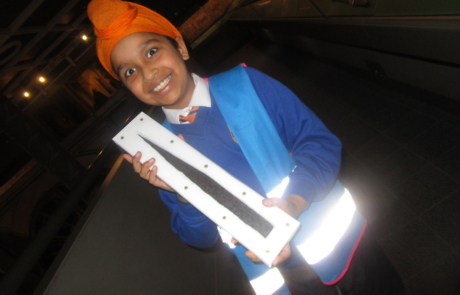 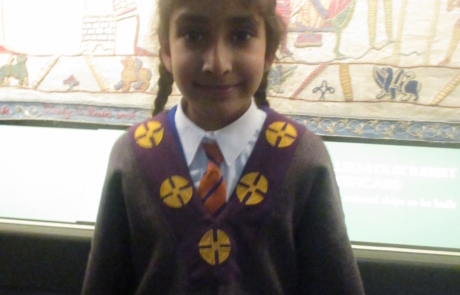 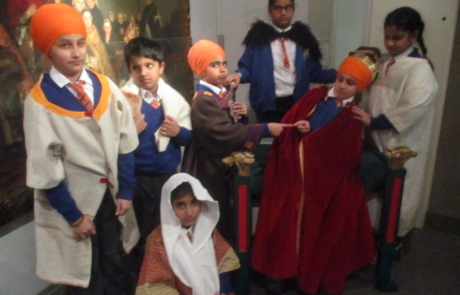 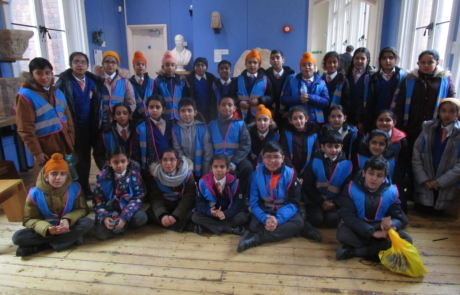 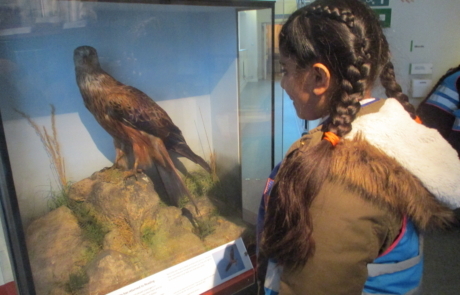 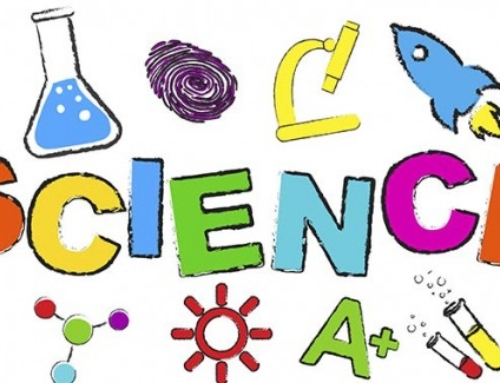 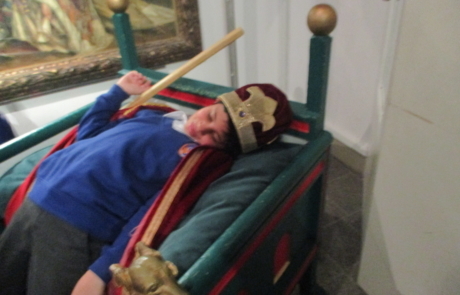 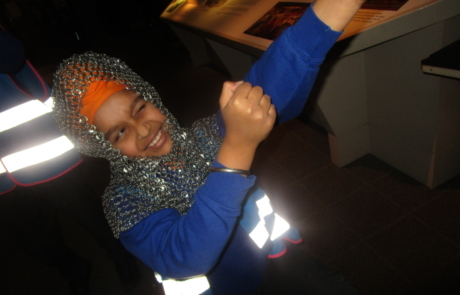 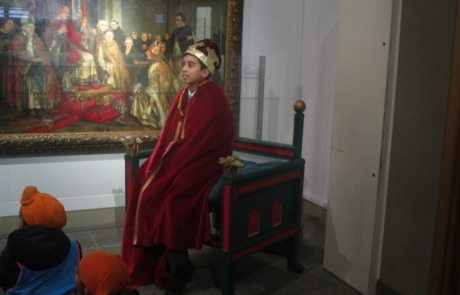 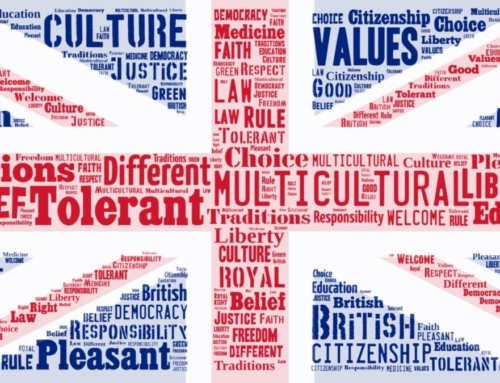 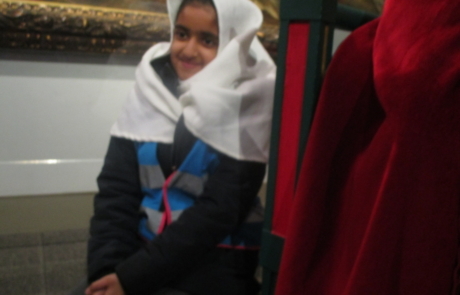 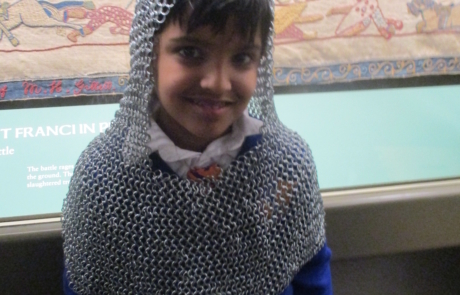 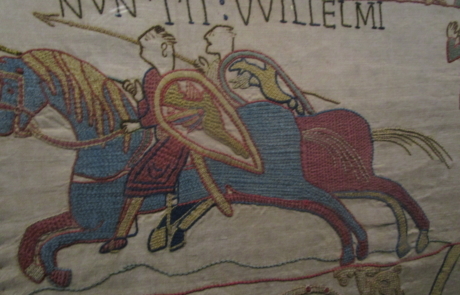 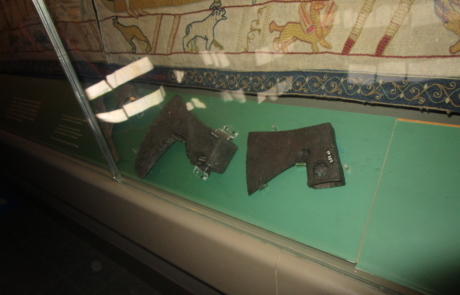 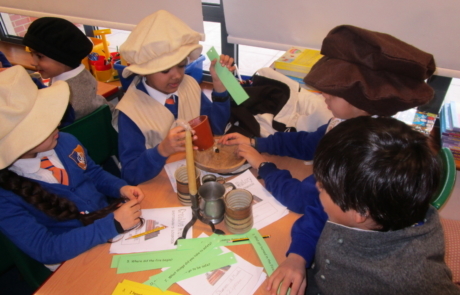 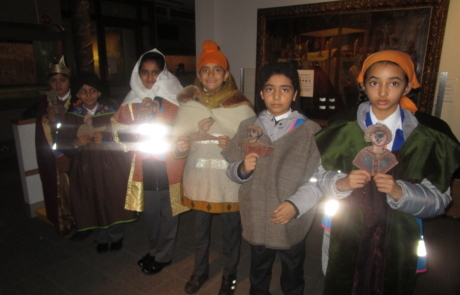 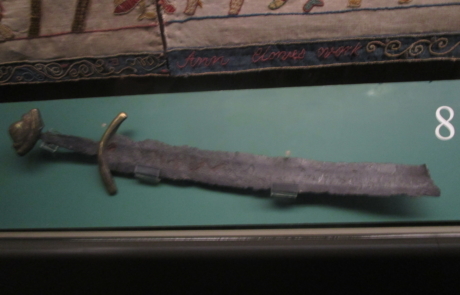 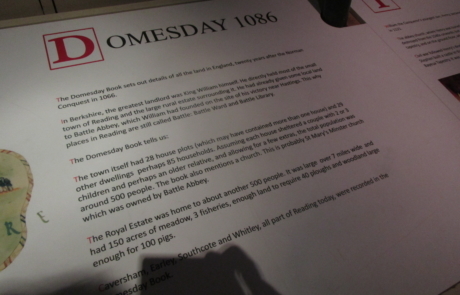 Year 4 – Children visited Reading Museum to enhance their learning on the Battle of Hastings and by visiting the galleries, we learnt more about the history of Reading as well as the UK. 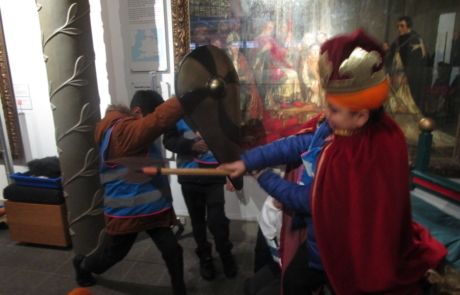 During the workshop in the afternoon, children dressed up as King Edward the Confessor, King Harold Godwinson and King Harald Hardrada to understand history. 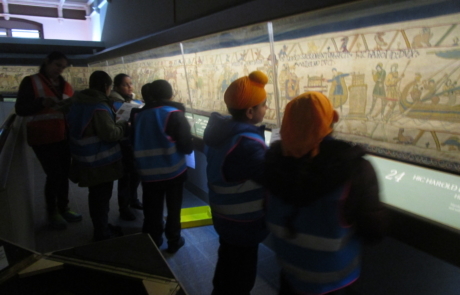 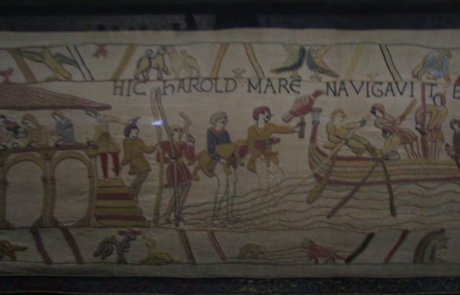 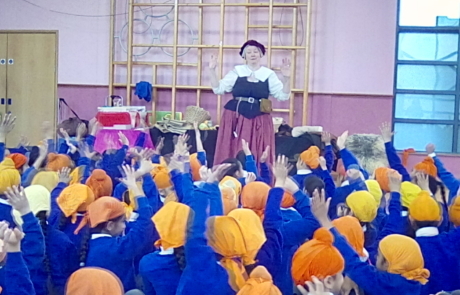 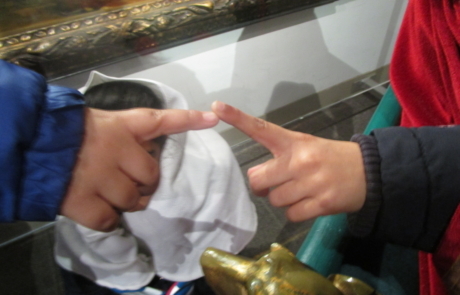 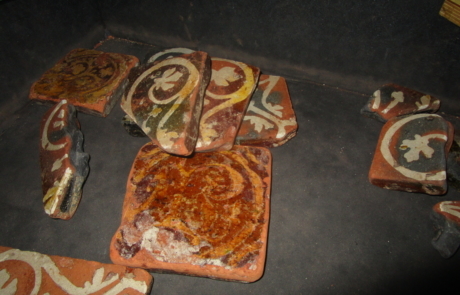 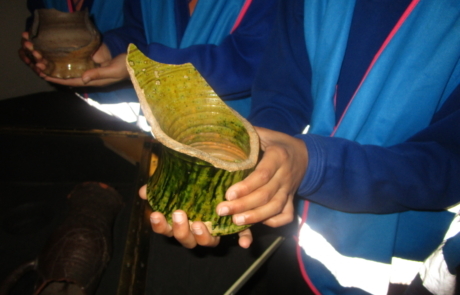 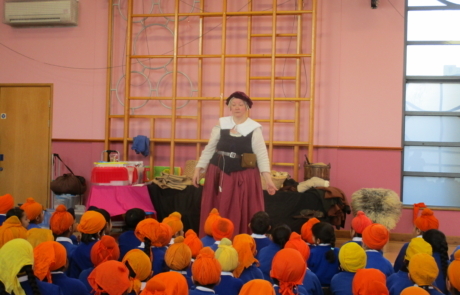 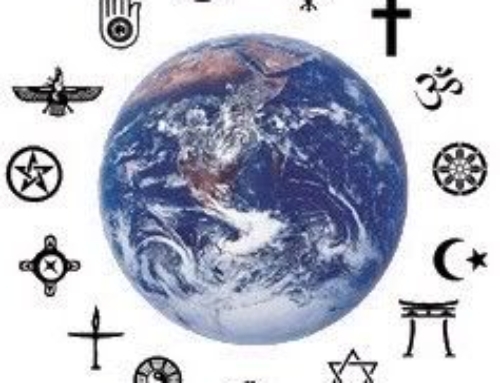 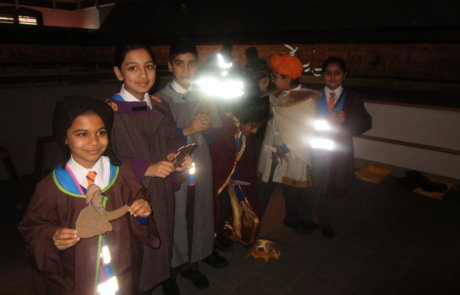 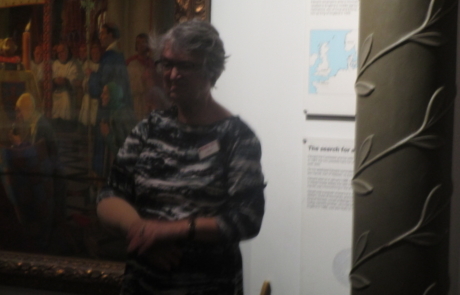 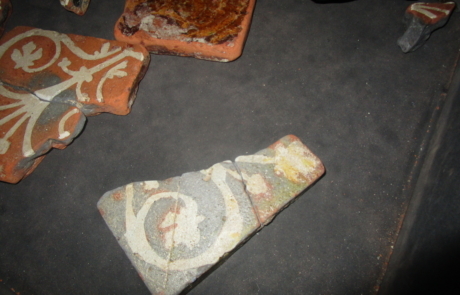 Children also had various activities linked to the Tapestry to extend their knowledge on this period in History.